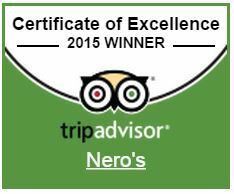 We welcome you to experience Nero. Enjoy our warm and cosy surroundings. Take time to cool down in summer – dine in our tranquil outdoor alfresco area surrounded by established trees and gardens. Wander through the many French doors; escape to the expansive decking, sample our divine selection of wine. 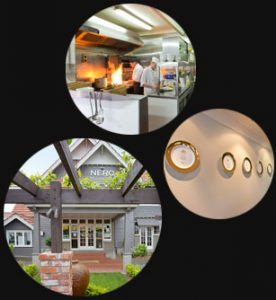 Nero Restaurant won the Food & Beverage – Restaurant category and took out the Manawatu restaurant of the year 2017.